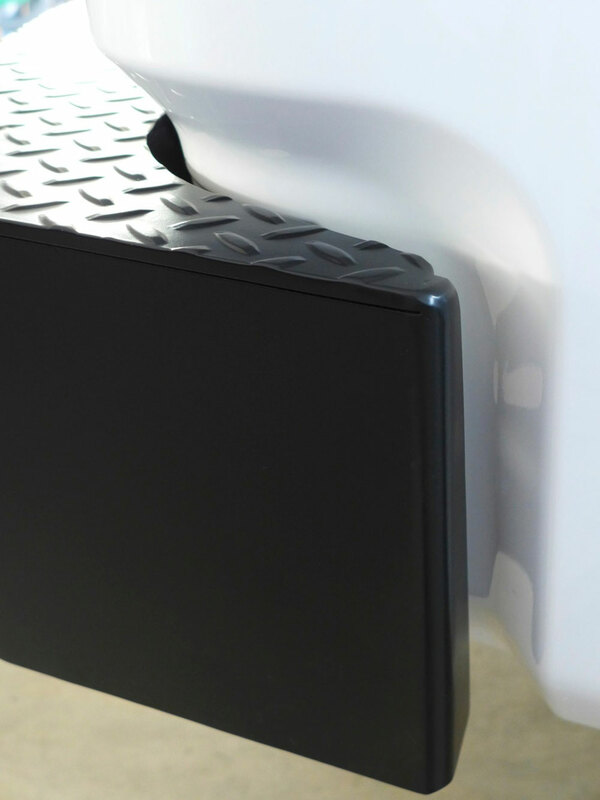 Toyota armor specialist Bud Built recently introduced a new rear bumper for 2007-2013 Tundra pickups. From a simple yet stout basic rear blade to a multifaceted and highly-optioned winch bumper system, many versions are available. Decades of experience with heavy, full-sized trucks has taught me the usefulness of a rear winch. Many times I’ve driven into soft terrain, become stuck, and the wisest option was a rearward exodus. 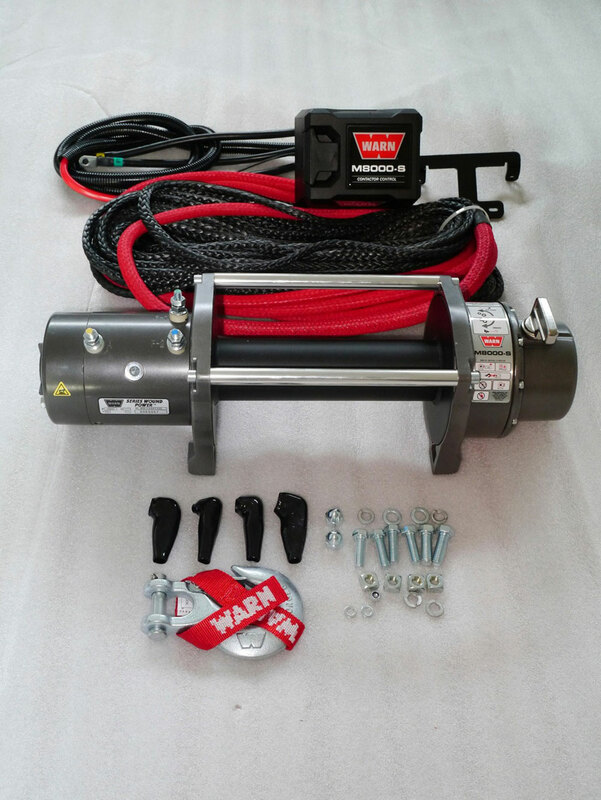 Unfortunately rear-winch bumpers are uncommon, and even more rare are rear-winch bumpers that allow carrying a spare in the stock location under the bed. Yet these supposedly incompatible features are available on Bud Built’s rear Tundra bumper. 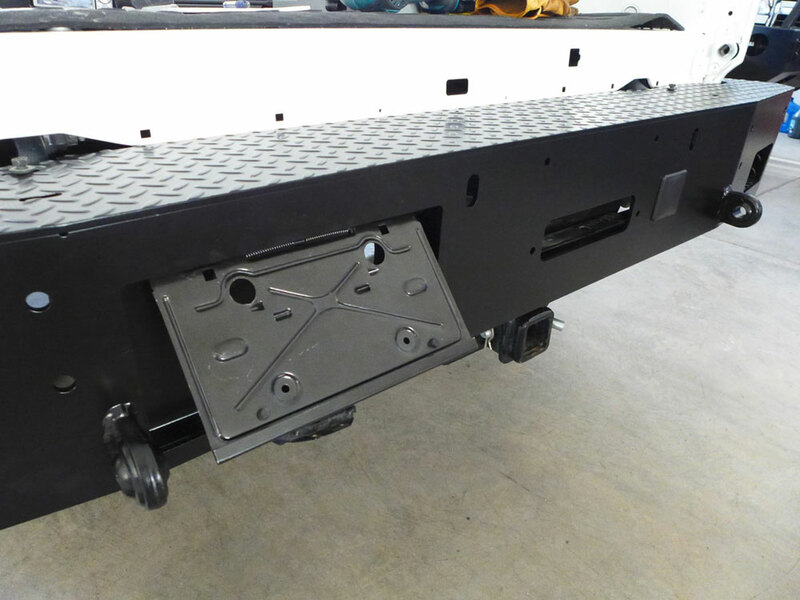 Most of the bumper is made from 1/4-inch mild steel plate. 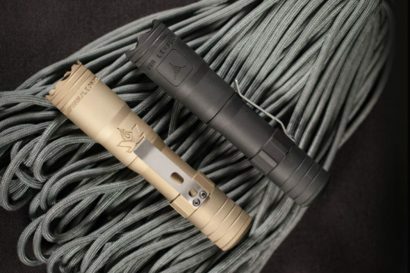 For practicality I choose diamond plate for the top to limit slipping, and smooth metal everywhere else because I prefer the look. The frame mounts are 3/8-inch thick, with five bolts on each side; using factory holes, no drilling was required for the installation. Several times I’ve damaged factory trailer wiring and mounts that historically have been placed under bumpers. 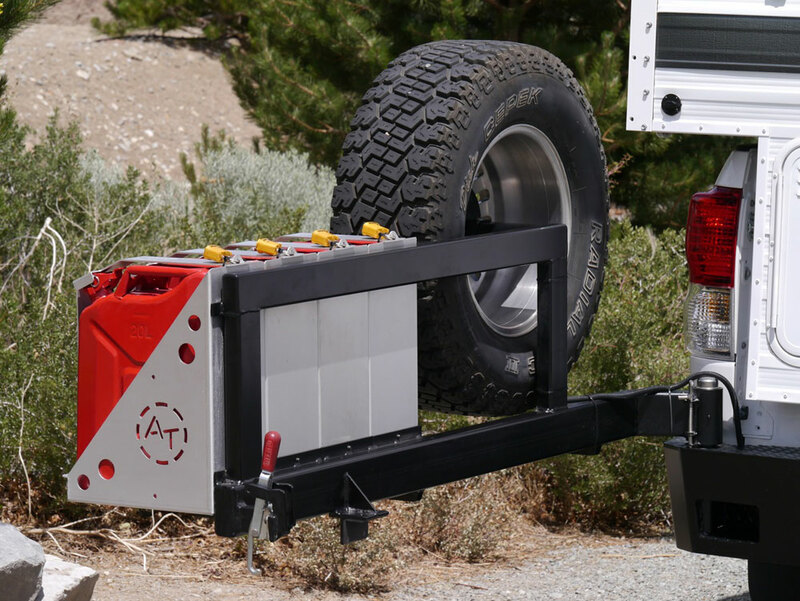 While fine for easy access or some commercial uses, this mounting location is not ideal for off-highway travel. 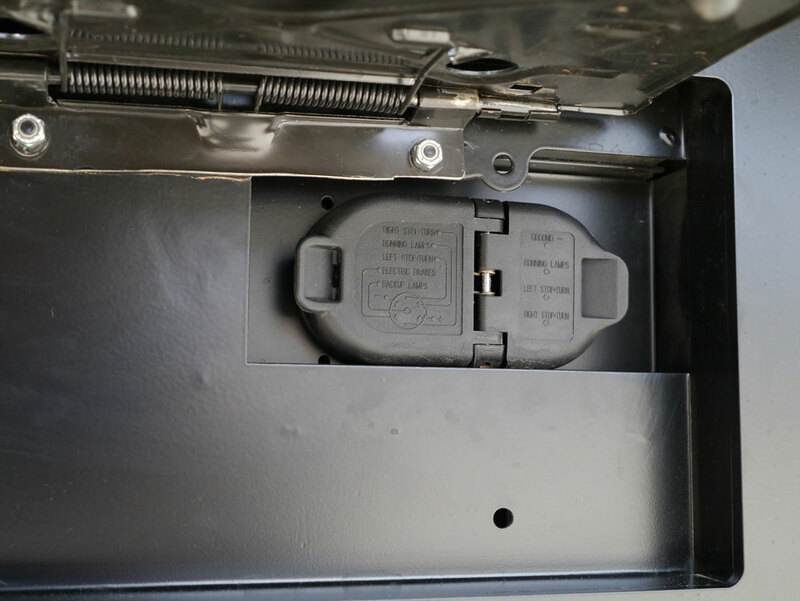 Hidden behind an inset, the flip-up license plate bracket is a perfectly-sized hole for the factory Toyota trailer wiring outlet. 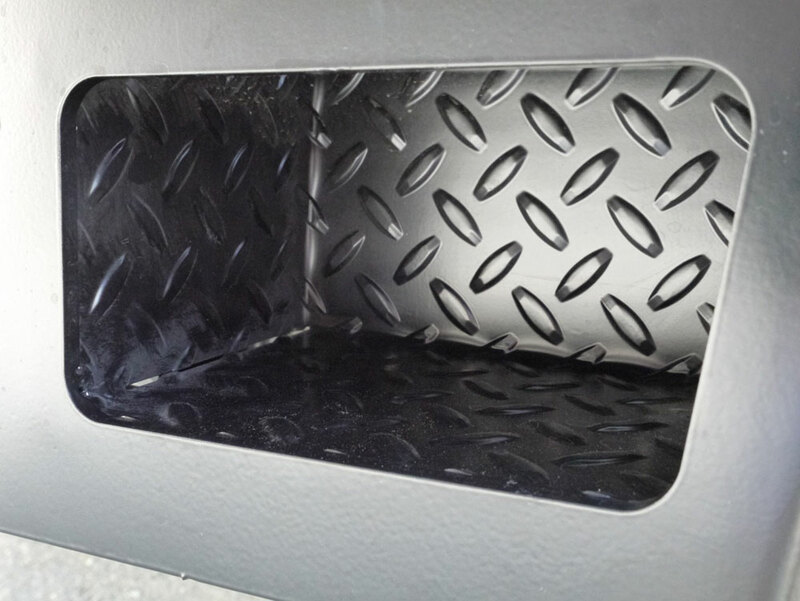 Each end of the bumper has a step-pocket for easy bed entry. 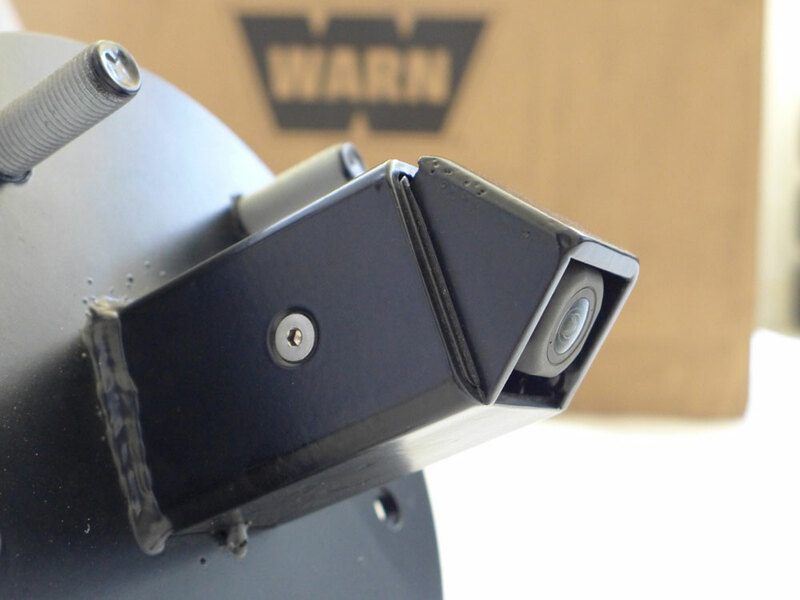 A compact yet capable Warn M8000s is slightly offset to the passenger side and just clears the factory trailer hitch receiver, and is capped with a Factor 55 ProLink. I like to avoid swing-aways when possible, yet they are sometimes necessary or desirable. For this application I wanted one to carry a second spare, fuel cans, to act as a (porous) tailgate, and as a new placement for the OE Toyota back-up camera lens. The full-width swing-away structure is framed with 3/16-inch rectangular tubing, and uses the typical and proven DE-STA-CO toggle clamp. 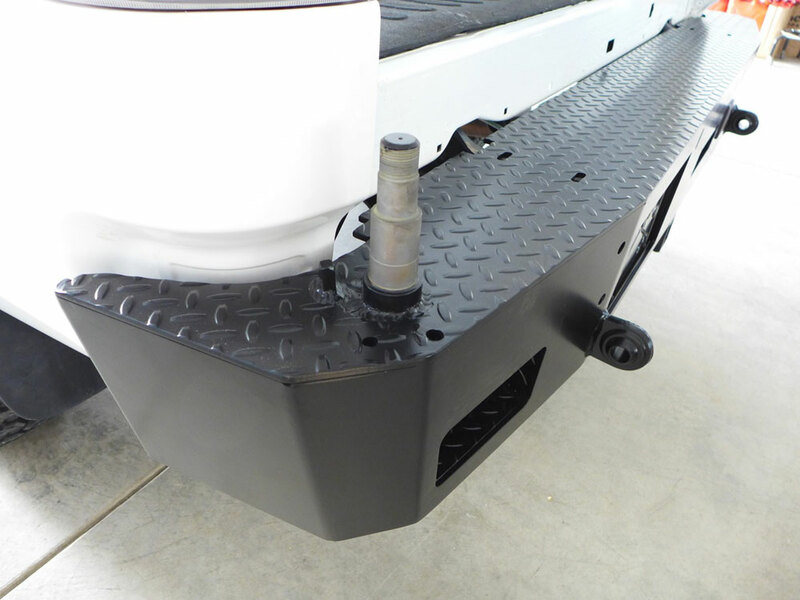 As with past builds, I chose to have the spare-tire mount on the driver’s side of the truck to minimize rear-view obstruction and to keep it on the road side of the vehicle. Opening a swing-away that pivots on the left helps my family stay on the safer, curb side of the truck. 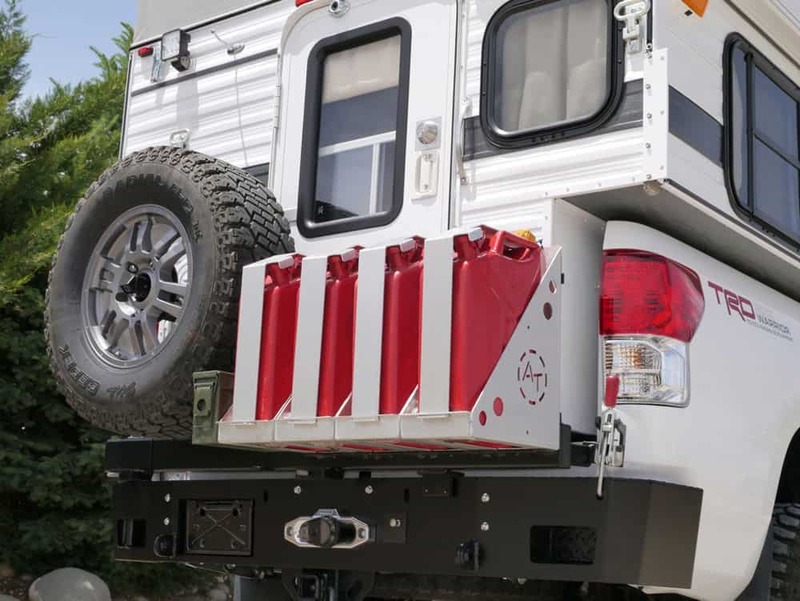 The spare is mounted vertically for maximum clearance for a slide-in Four Wheel Camper. 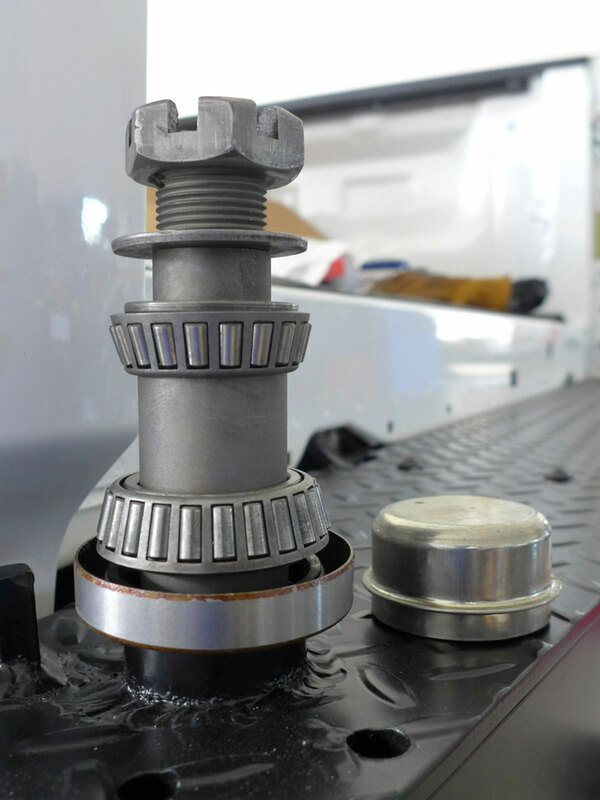 The swing-away is mounted on a 3,500-pound trailer axle spindle, so the bearings and seals are standard trailer items and readily available. This large spindle may be overkill, but when fully loaded there’s considerable weight on the structure. I like overkill. A spring-loaded pin holds the swing-away open in one of two positions: inline with the truck frame or further beyond the driver’s side. 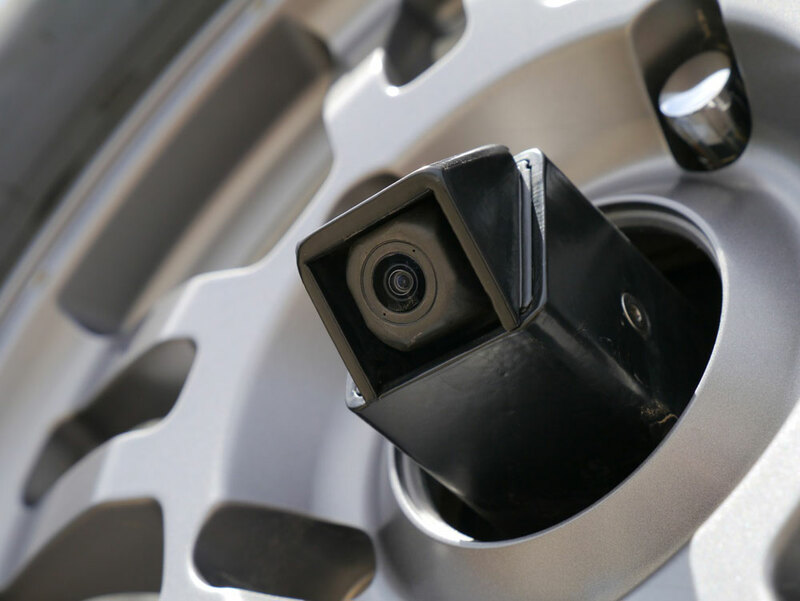 In the center of the spare-tire mount lies a custom metal housing for the Toyota backup camera. 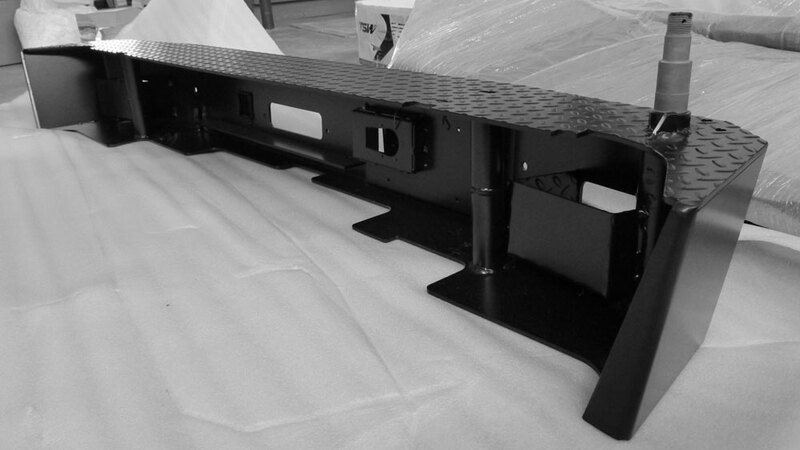 The lens height is very close to the factory tailgate mounting location and slightly offset to the driver’s side. 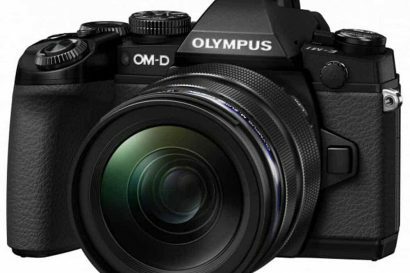 The lens is hidden, protected, looks fantastic, and works well. I love it. There’s a price to be paid if you want a rear bumper with everything: it’s heavy. 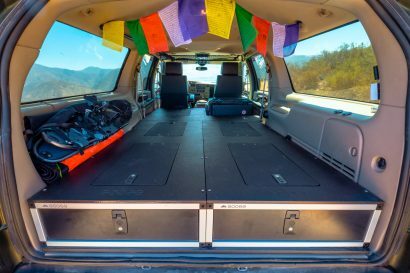 The main rear blade weighs 149 pounds, and my full-length swing-away weighs 96 pounds, a hefty combination even before I added a winch, spare tire, jerry cans or carriers. The factory pieces I removed weighed a mere 41.5-pounds. The Bud Built setup is worth every pound and penny. VoTD: Land Rover Serengeti "Expedition"